L-R: Sangeet Kumar Gupta, principal adviser, M L Gupta, director and Puneet Kumar Gupta, principal adviser of Finsys at their facility in Faridabad, Delhi-NCR. Delhi-NCR based Finsys is a leading ERP solution provider to the printing and packaging industry. Enterprise Resource Planning (ERP) is a management software designed to ease and manage businesses and also automate many back office functions such as technology, service and human resources. The company serves all sub parts such as flexible packaging, corrugation, paper bags, stationary and lamitubes. The company has seen many competitors coming up in a span of over two decades only to eventually wither off. “We are a stable provider which has worked for years and with the list of successes under our belt, the number itself gives us a trajectory every month. We are also participating in various events in order to connect with customers. Looking at our solutions, they often compare our services with European majors in the industry; that is the standard of solutions that we provide to our customers,” Gupta says. 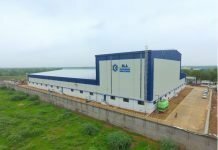 TGI Corrugation Packaging Limited, a company situated at Sriperumbudur in Chennai was such company that implemented ERP throughout its plant. Prem Industries in Ghaziabad, Uttar Pradesh is a similar success story. The company went on to integrate the location of their stores as well. This resulted in obtaining proper data of every reel, every shipment including its packaging and sorting on the user’s mobile phone. The solution turned out to be convenient for the customer and helped the company churn out profits in large numbers. 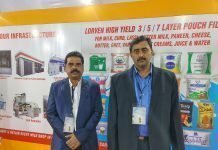 Finsys recently participated in Sino Corrugated South at China, which witnessed a turnout from more than a thousand manufacturers and consultants from India. A number of manufacturers competed with each other at the event on a common platform with new machines and software. “Personally, I felt very happy attending the event. I got an opportunity to meet many existing customers and managing directors of some big companies and even got a chance to share my views and opinions. 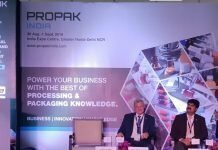 Secondly, it was a good opportunity to meet potential customers, present our product and educate them on the importance of having an ERP,” says Gupta. More recently, Finsys, as a part of the Label Manufacturers Association of India (LMAI) initiative, participated in a series of afforestation drives. On a particular day, every week, the company’s employees take to the streets to water plants and trees to save them from the scorching heat.